It's raining, it's pouring. Polarn O Pyret is calling! It’s raining, it’s pouring. Polarn O Pyret is calling! Apparently there is a saying in Sweden that there is never bad weather, just bad clothes. Which is a great way of looking at life when you live somewhere where the weather isn’t quite so clement. 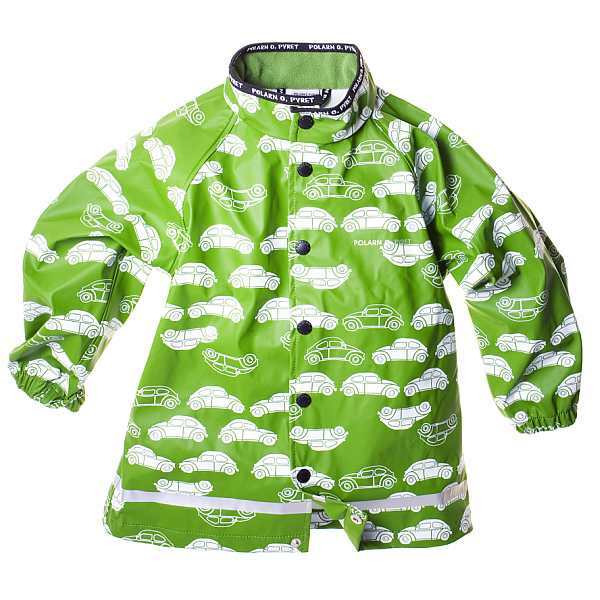 However, even though I live in Sydney, not Stockholm, the downpours I’ve witnessed during the school run over the last couple of months definitely call for this excellent rain gear! Polarn O. Pyret is a successful Swedish company started back in the seventies which now has shops across Europe and has just launched in America. Their philosophy is to provide good looking clothing that lets children be children. And boy do they achieve that with this fabulous looking “foul weather” clothing range. 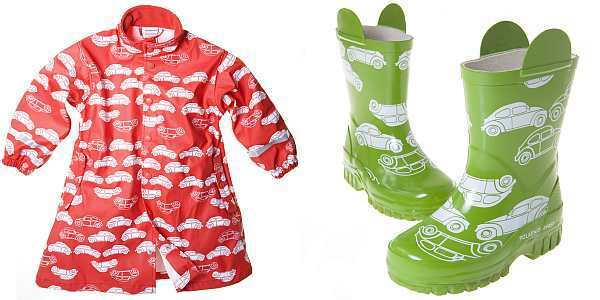 I particularly like the limited edition car print on cool green or poppy red for the coats and boots. Oh and check out the hats and gloves to top the whole outfit off – I wish they came in my size! Polarn O. Pyret also have a strong social responsibility code assuring their customers that products are ethically produced. All in all, worth a look on a rainy day. The rain coats cost US$42, the gumboots US$28 and the hats US$20.50. For information on shipping to Australia contact Polarn direct.